This mini Anniversary Bundt <sup>®</sup> Pan has a capacity of 4 cups of cake mixes. 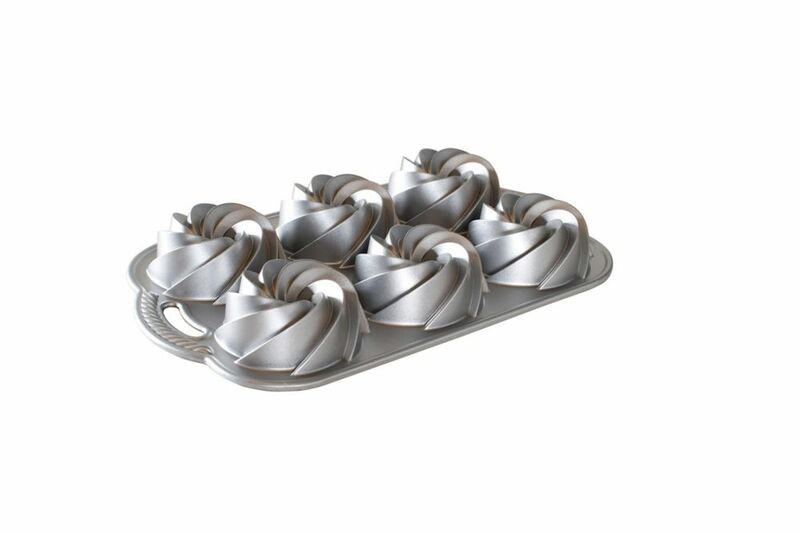 Heritage Bundt Cakelet Pan Our exclusive heavy cast aluminum Bundt <sup></sup> Bakeware provides superior baking performance. Baked goods rise evenly, cook uniformly and are finely detailed thanks to the excellent thermal conduction of the heavy walls. A special heat-reflective exterior and premium nonstick surface assures perfect results. Our unique pans are wonderful for bread, moulded desserts and savoury dishes, as well as that special cake recipe of yours!